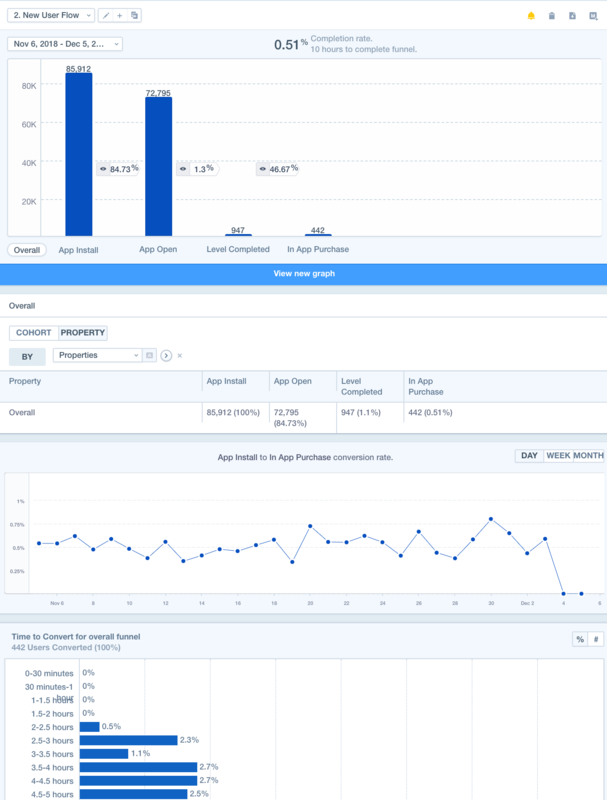 This article is intended for Advertisers who would like to post to Mixpanel for every new attribution recorded on the AppsFlyer platform. Mixpanel is a product analytics platform that enables everyone to learn from and act on their data. With the power to track every user action and easily query and visualize answers, Mixpanel gives product leaders the insight they need to build products people love. The integration between AppsFlyer and Mixpanel enables you to import the Acquisition Campaign information from AppsFlyer to Mixpanel. Enter "Mixpanel" in the search field and click on its logo to open the Mixpanel configuration window. The Mixpanel configuration window only makes use of the Integration tab. Mixpanel connects with AppsFlyer via a unique Token. If you don't already have it, you must obtain it from Mixpanel to continue with the integration or follow the steps below. 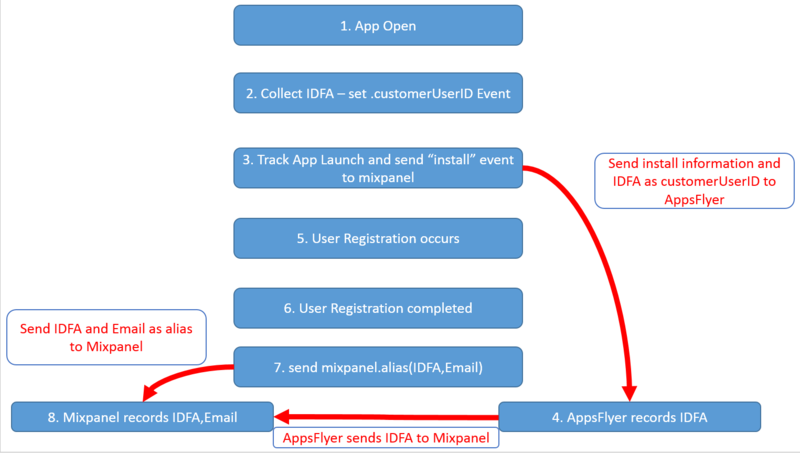 If you are not using AppsFlyer customer_user_id - check Send Advertiser ID and the device ID is sent to Mixpanel as the customer_user_id (unique_id in Mixpanel) refer to the AppsFlyer SDK integration guide for Android and iOS. 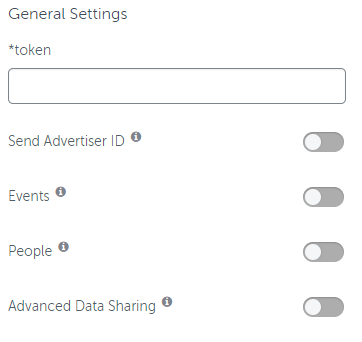 Select Advanced Data Sharing to send additional information to Mixpanel: cost, cost_value, c (campaign), network (pid), impression_based (is-impression). AppsFlyer can send automatic user installs postbacks to Mixpanel. Use this section to define sending these postbacks. 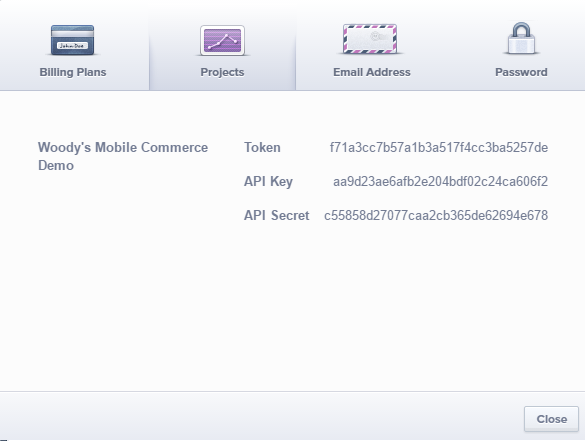 Select Events attributed to any partner or organic to send to Mixpanel postbacks for any user that installs the app. Post-install in-app events can't be automatically sent from AppsFlyer to Mixpanel. Tracking Links are not available for Mixpanel. Permissions are not available for Mixpanel. Collect the device IDFA / Advertising ID of the device and set it as the Customer User ID, using the SDK function setCustomerUserId. Send Track App Launch. This API enables AppsFlyer to detect installations, sessions and updates. User Registration occurs, as set by your own requirements. User Registration completes, as set by your own requirements. If you are using your internal User ID as Mixpanel ID, set the customer_user_id (or the device id – see section 2) as the distinct ID and and the User ID (e.g email address) as mixpanel alias. If you are not using any registration process inside your application, implement sections 1-3. 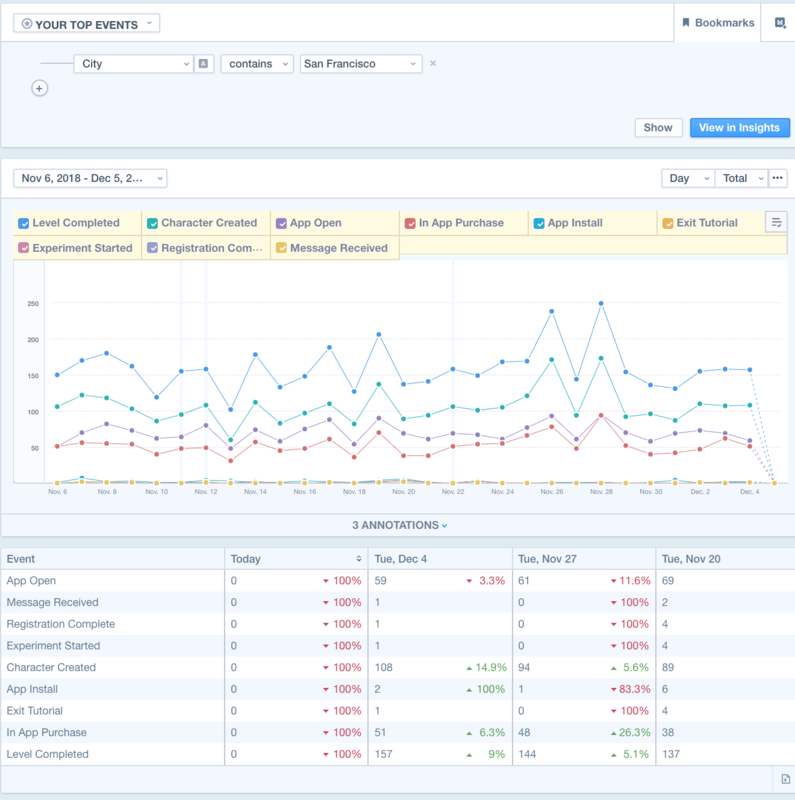 The screenshots below are a Funnel report selecting a specific Attribution Analytics partner and segmenting by Attribution Analytics offer.